A deck can add significant value to your property and become an exciting new space for entertainment and relaxation. We'll work with you to create a custom deck that reflects your style, complements your home or pool, and enables you to enjoy your outdoor living space. You can choose from many different layouts for your deck, based on your style and purpose. 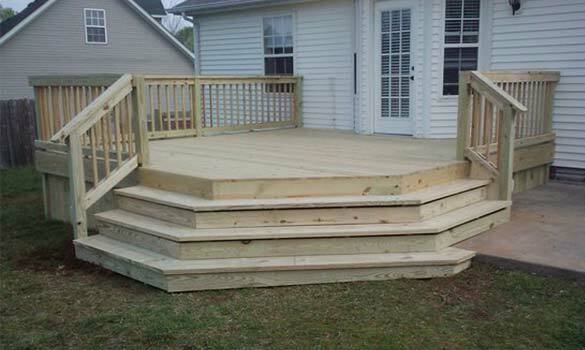 We cater to your needs, wants, and desires when it comes to building the perfect deck for every client! Decking projects are not available in Williamson County. These impressive and stately structures are one of our specialties and can be a lovely addition to any landscape. Pergolas hung with wisteria or other flora can be beautifully functional when integrated into a poolside deck or patio. They offer a shady retreat from the sun and a great location for barbecues.